I’ve been shopping around for a cheap, low-height table that I can convert into a sensory table for the kids. That basically involves cutting a hole in the top of the table big enough to drop a shallow plastic tub into. So, since I’ll essentially be destroying the table, I obviously don’t want to spend a lot on it. I’ve been checking Craigslist with not a lot of luck. I’ve also popped into three different local Goodwill stores to see what they have. While I still haven’t found the right table, I did find another goody that I couldn’t pass by and I’d like to share. Read on. When my first child was a baby, we had some sleep issues. At one point, when he was around 10 months old, we’d put him to bed, only to have him wake up every two hours after that, standing up and crying until we came in and helped him back to bed. It was torture on all of us. We didn’t rush in to his room at every cry, and we tried to wait to see if he’d fall back to sleep, but I wasn’t totally comfortable with using the Ferber (“cry it out”) method. 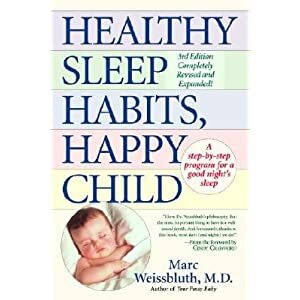 Our routine, which felt a bit like whack-a-mole (though no one actually got whacked) continued until I discovered Dr. Marc Weissbluth’s book, Healthy Sleep Habits, Happy Child. 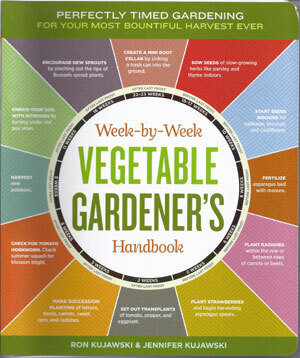 This book was a godsend! 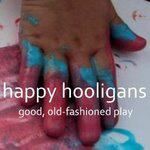 Shortly after diving into the book to find a solution to our sleep problems, I did what the author recommended (which was to put my son to bed about two hours earlier than we had been), and we all began sleeping through the night. Since then, I’ve continued to reference that book for every stage of development that my children have reached, because their sleep requirements and schedules change as they grow. Furthermore, anytime anyone I know complains that their child isn’t sleeping through the night, I recommend this book. It’s a great reference. It helps you understand children’s natural sleep rhythms, and it helps you troubleshoot to improve the quality and quantity of your child’s sleep. I so love this book that I’ve given it as a gift at two baby showers.